Look, at Arch City Tavern, we get it. Although the Market Burger and Parmesan Truffle Fries are somewhat irresistible, it’s nice to have a fully nutritious meal sometimes! But, who said eating healthy has to be bland? Our amazing chef’s like to keep things interesting over here, combining the best flavors while keeping nutrition in mind. If you’re looking to try a new dish, chow down on these healthy meals the next time you visit us! Packed with rich, fatty Omega 3’s, salmon is an excellent source of protein, vitamins, and minerals for your daily intake. Swap the chips for a side of our famous brussels sprouts for some extra veggies! We’re a big fan of our salmon sandwich, and for good reason. Not all salads are boring! Our spinach salad combines the flavor of toasted almonds with dried cranberry, making it the perfect sweet and salty combination. The bacon vinaigrette the perfect amount of flavor when paired with the spinach. If you’re looking for a little more, add grilled chicken or grilled salmon for extra protein! Whether you are a vegetarian, vegan, or just love the taste, our spiced bean burger is quite a hit! Topped with juicy tomatoes, crisp lettuce, and a secret sauce, this burger is bound to leave you planning your next visit. If you aren’t in the mood of fries or chips, add a side of asparagus! 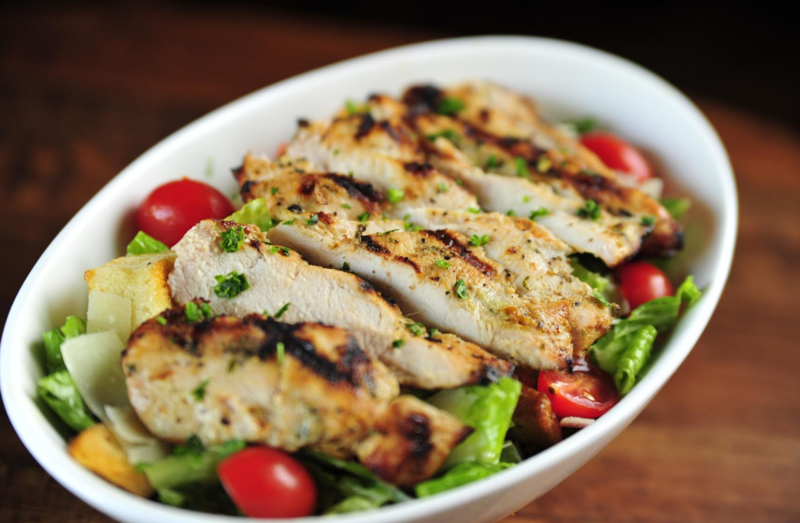 Join us for dinner next time you’re in The Short North and try one of Arch City Tavern’s healthy dishes! Be sure to keep us updated with your thoughts by tagging us on Instagram or Facebook. No Replies to "Chow Down on These Healthy Meals"